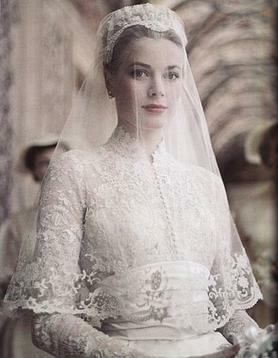 Grace Patricia Kelly was born on this day in Philadelphia, Pennsylvania, USA in 1924. Today is the 88th anniversary of her birth. Third of four children, Grace was born into a wealthy family of Irish and German background. The Kellys were athletic, her father, Jack, won three gold medals in the Olympics and her mother, Margaret, was the first female head of the University of Pennsylvania’s Physical Education Department. Her brother, John, also competed in the Olympics. But Grace was drawn to acting. She modeled and acted in school plays starting at age 12. Television and stage gigs followed. Kelly played 39 roles on high brow television theatre shows such as the Kraft Television Theatre, the Philco-Goodyear Television Playhouse, and the Armstrong Circle Theatre. The shows were a hybrid of stage performances and scripted radio drama filmed live in front of a studio audience. After a small role in Fourteen Hours her film career took off when she played the “mousey” Quaker bride” [Ibid] in High Noon in 1952. The following year she went to Africa to shoot Mogambo with Clark Gable and Ava Gardner. Kelly was nominated for a best supporting actress Academy Award for the film. That same year, 1954, she also co-starred with [the always wonderful] William Holden in a Korean War drama, The Bridges at Toko-Ri; the South American emerald mining adventure, Green Fire; and as Bing Crosby’s wife in The Country Girl. Holden was the third leg of a romantic triangle in The Country Girl. Kelly’s performance as a woman torn between a verbally abusive, alcoholic, washed up husband and a charming, kind man who looks like WILLIAM HOLDEN won her an Academy Award. In 1955 her last Hitchcock movie came out. In To Catch a Thief she co-starred with Cary Grant. Again Kelly’s onscreen chemistry with her co-star elevates a good movie to a great one. To Catch a Thief won the Academy Award for best picture that year. Her next movie was The Swan with Alec Guinness and Louis Jourdan. She plays Princess Alexandra who needs to win the heart of Crown Prince Albert (Guinness) so her family can re enter the inner circle of court life. In real life Kelly was being courted by Prince Rainier III of Monaco whom she had met while attending the Cannes Festival. The engagement ring she wears in the movie is her real ring from Rainier. The studio timed the release of the film to corresponded with the date of the royal wedding. Kelly’s last feature film was High Society, a musical reboot of The Philadelphia Story. In it Kelly and Crosby sing True Love, a song that went platinum — selling over a million records and and earning a best song Academy Award nod. Kelly had a stroke while driving with her daughter Stephanie along the windy mountainside roads of Monaco. The car went off the road and Kelly suffered fatal injuries. She died on September 14th, 1982. 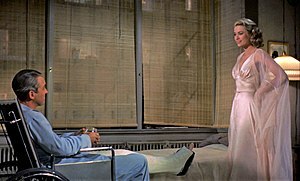 This entry was posted on Monday, November 12th, 2012 at 6:16 pm	and tagged with Grace Kelly and posted in Broadway, Europe, Film, Grace Kelly, Louis Armstrong, postaday, Theatre, Thought of the Day, Today's Birthday, United States. You can follow any responses to this entry through the RSS 2.0 feed. 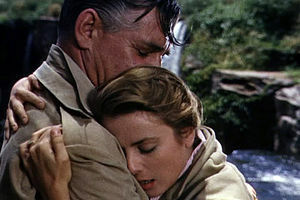 They had Grace Kelly movies on TCM this morning. I watched “Dial M For Murder”. It was really good. Excellent. I hope I didn’t give away the ending with the clip I included in my blog! Nope. I watched the movie before I seen your blog.